Gambling is a major industry world-wide and physical and online casinos as well as other betting places are all in competition for the customers. 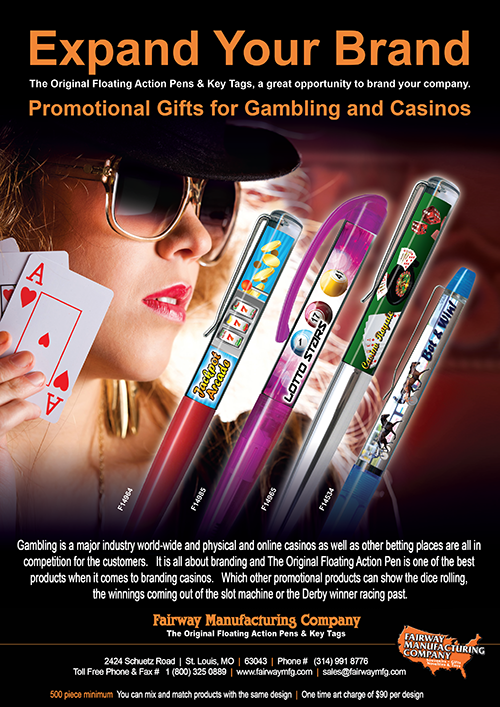 It is all about branding and The Original Floating Action Pen is one of the best products when it comes to branding casinos. 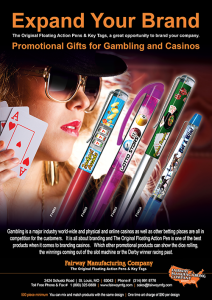 Which other promotional products can show the dice rolling, the winnings coming out of the slot machine or the Derby winner racing past.